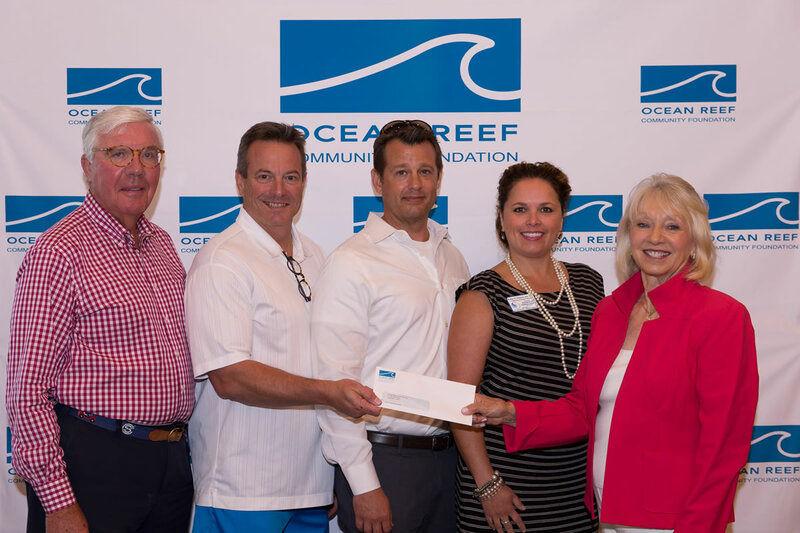 The Ocean Reef Community Foundation’s (The Foundation) Community Grants Program awarded the Florida Keys Children’s Shelter (Children’s Shelter) $29,000 to support its Essential Care Fund. The Essential Care Fund is dedicated to providing emergency funds to the children and youth residing in its residential program; last year serving 106 kids. More often than not, the kids arrive with only the clothes on their back; lacking basic necessities. This grant award makes it possible for the Children’s Shelter to give them what they need, when they need it. Beyond shelter and counseling, the Essential Care Fund helps to provide stability and start the healing process while in care. “As we strive to help our kids heal and begin a new a life, we need the help and investment of others to give them the necessities of an ordinary childhood. And that’s exactly what The Foundation is helping us to achieve.” Says Bill Mann, Co-CEO, Children’s Shelter. Since 2001, The Foundation has awarded the Children’s Shelter with 12 grants totaling $238,000. Last year, the award was dedicated to the Children’s Shelter On the Go – Family Van Project. 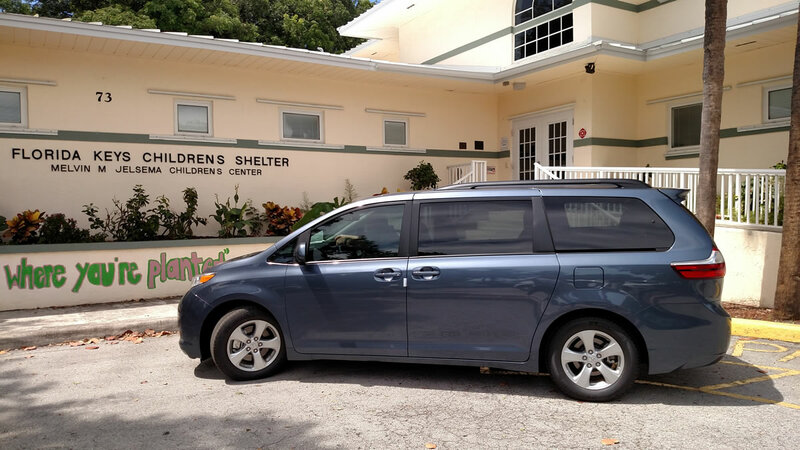 A 2016 Toyota Sienna, SE eight passenger mini-van was purchased and is used daily by the residential team to transport the kids; ensuring a safe, reliable, fuel efficient and comfortable ride for their most precious cargo. 2017 Check Presentation: From left: Bill Nutt, ORCF Board Chairman; Brad Copeland, FKCS Board Chairman; Ben Kemmer, FKCS, Co-CEO; Karen N. Holmes, FKCS CDO; and Janie Sims, ORCF Grants Committee Chair. The Foundation’s Community Grants Program funds dozens of charities in the areas of Education, Youth, Health & Family Services and Community in Homestead/Florida City and the Upper Keys each spring. The program has awarded more than $6.1 million since 2008. To learn more, visit the Community Grants page at www.orfound.org. The mission of the Children’s Shelter “Safe Kids, Strong Families, and a Healthy Community” drives every facet of its programming. Serving Monroe County for almost 30 years, the private not-for-profit Children’s Shelter has touched more than 24,000 lives through its five programs: emergency shelter, group homes, residential respite, community-based counseling and homeless and runaway youth drop-in center. For more information about the Children’s Shelter or to learn how to get involved, please call Karen N. Holmes, Chief Development Officer at (305) 852-4246 ext. 222 or email her at KHolmes@fkcs.org.